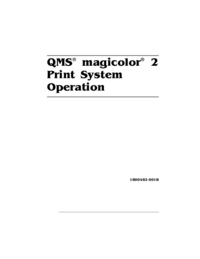 QMS Magicolor 2 Print System Operation. 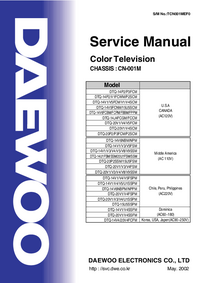 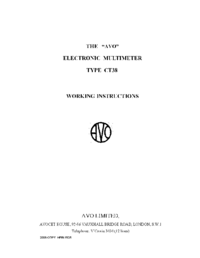 This manual provides information on installing consumables such as media and toner cartridges. 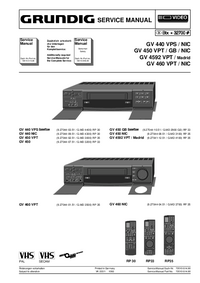 Youâ€™ll also find information on advanced printing features, Printer care, print quality, and troubleshooting. 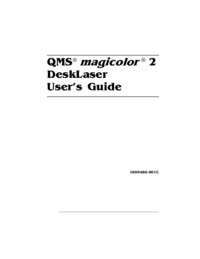 Use this guide in conjunction with your other QMS Magicolor 2 documentation.